"Think of the power of the universe — turning the Earth, growing the trees. Inspired by nature and Ancient cultures, fitted for modern, stylish personality. Created by an artist-designer. Necklaces, beads, pendants, rings, chains, bracelets, brooches. Every item has it's own packaging. It seems like a gift. You can also request a custom order for special jewelry. Sardonyx, glass, polymer clay, metal. Symbols: wind bells, white, nine. Rose quatrz, silver-plates copper, glass, string. Symbols: rose quartz, cirle, wheel, three. Artist's sculptured clay (polymer), metal, glass. Pyrite (~ 15x10x10 mm), metal. 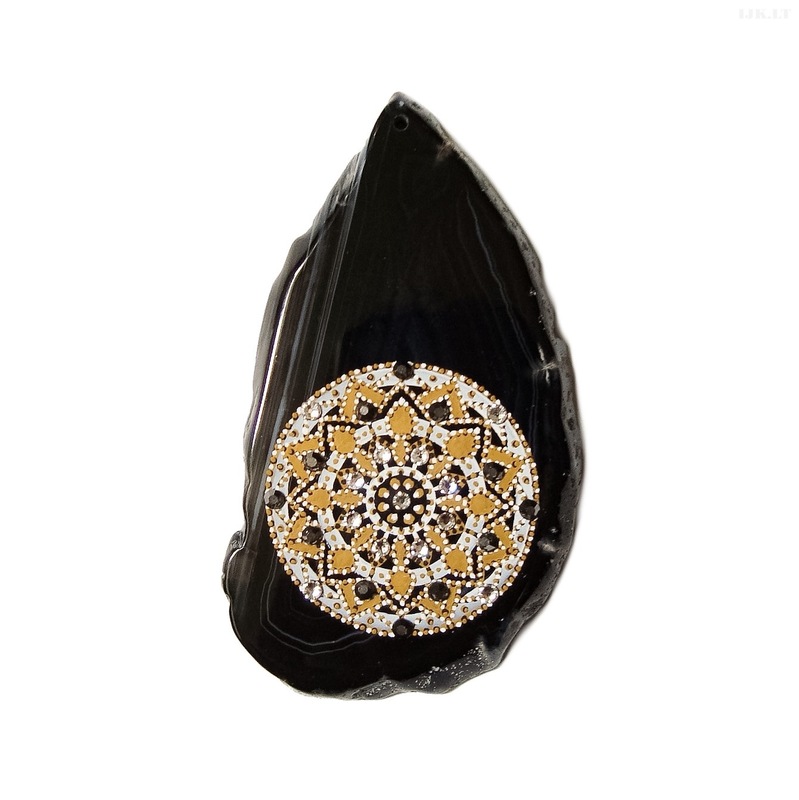 Black agate, Swarovski crystals, hand painted. 9 cm. Made to order (from 30 €).